Some weeks ago, my friends Harper, Ivan, Abbie, and I flew to Southeast Asia to meet with a bunch of small companies and do some research for work. It was my first time in Asia, and actually, the furthest east and south that I've ever been. As cliche as it sounds, it really is a-whole-nother world over there. The way they've completely skipped over things that have changed or slowed down innovation in the US was super interesting. The fashion, diets, and everything in Asia is just so different, and in many ways, much better. I spent a lot of time internally comparing the paths that these countries seemed to be on with our own. Some of it was better and some it was worse, but either way, it was something new ... and I loved it. I could write a small book about our experience, but I'm gonna try to break down our trip as quickly as possible. Due to our personal schedules, our entire group somehow wound up on separate flights, which was kind of hilarious. I had an hour long flight to Chicago, a 13 hour flight to Tokyo, and then another 7 hour flight to get to Singapore. Luckily, for me, I got hooked up with Business class (thanks, Harper!) on the long flight, so I was able to enjoy some fancy lounges, sprawl out, eat a ton, and watch only Lego and/or Batman themed movies. I made myself a promise to not say, "no" to anything they offered me. The result was way too much food, and me eventually saying no to the drinks because I didn't want to get super drunk, haha. We started here because we thought it'd be a super easy place to kick things off and get over jet lag. Singapore is very western friendly, English speaking, and had a PayPal office for us to call home base. So, let me start off by saying, Singapore is easily the cleanest, and most well groomed city I've ever been to. There were seemingly no (or very few) homeless people, there was no litter, and the sidewalks were spotless. They actually don't even sell chewing gum in the country because they don't want it littered around the town. We stayed at the Fullerton Bay - a really nice hotel right on the Marina Bay, which was surrounded by awesome, modern architecture. We ate so much Chinese food, street foods, hawker foods, satays, dumplings, seafoods, as well as the local signature chili crab, pepper crab, century eggs, etc. I managed to avoid the durian tho. Overall, it was just awesome to spend time hanging with the Singapore PayPal innovation and Braintree teams as well as everyone Harper and his friends introduced us to. We were shown a really great time and I left super impressed with Singapore. 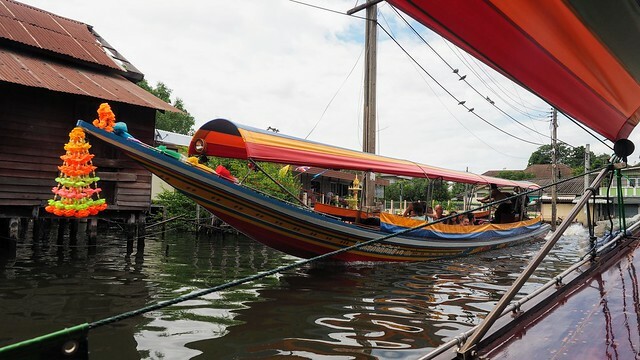 If you ever travel to Southeast Asia, definitely consider it as a good starting point ... but you probably don't need to stay more than a few days. My first time below the equator! Indonesia is an insane country. It's the 4th most populated in the world with a very obvious gap between the upper and lower classes, and the craziest traffic I've ever seen. 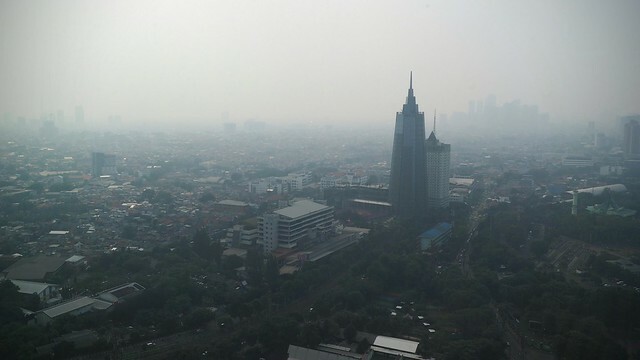 The traffic (at least in Jakarta) was ~70% motorcycles or scooters swarming through the city 6 inches away from each other ... causing an incredible amount of smog. Jakarta also had seemingly (but maybe not realistically) really tight security everywhere. Like, there were loose vehicle searches and metal detectors at nearly every hotel and shopping center, and a 6-wheeled MRAP parked across the street from our hotel, lol. 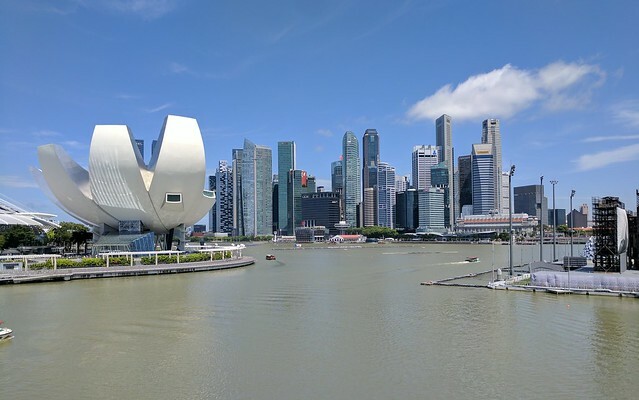 To be honest, at first I was a little off-put by how rough the city seemed - especially coming right out of Singapore, but after living it for a while, I left with a certain respect for the place. That chaos seemed to be working beautifully. And it's clear that Indonesia is absolutely a land of opportunity. So, we stayed at the Dharmawangsa hotel, which was a super chill, almost resort like hotel with nice pools and a spa, that we definitely took advantage of. It was pretty hilarious chilling with Ivan and Harper in the steam rooms and sipping tea after getting some 90 minute massages. The main reason we were in Indonesia was to do an event with the 500 Durians folks and meet with as many startups and small companies as possible. Our event was at a rad little coworking space called Rework. It was ran by an awesome woman named Vanessa and the event was MC'd by a dude named Ashraf Sinclair from the 500 Durians venture fund ... who turned out to also be a Malaysian Movie star. We later met him at a club to watch some awesome local band cover (mostly) western pop songs. It was hilarious. Touring the Mulia glass factory and hotel with Agnes Tjandranegara and her brothers. We ended our stay by flying on to Bangkok with Ivan's family and their 64 bags of luggage. Landing here was a little surreal. Once we left the airport we just started noticing huuuuge, 5-billboard sized billboards commemorating the recently deceased king of Thailand. The country, or at least Bangkok, was full of elaborate shrines dedicated to both the new and late kings of Thailand. But that's not the surreal part... So, we get to our hotel to drop our stuff off and a nice, Thai woman named Pimm came to pick us up for the night's event. She took us to the train station and as soon as we got there, this song started blaring over the loudspeakers and everyone stopped in their tracks to listen. This was their national anthem and this apparently happens twice every day. After we paused for a sec, she took us to this hotel and up to some floor near the top and as soon as the elevator doors opened there were cameras in our face, someone put unicorn headbands on us and then pushed us in front of one of those "step and repeat" backdrops for a photo with Krating Poonpol. Immediately after that, we were pushed into a green room and served fancy Thai foods and got to hang out with Krating before mingling at the event for the next couple hours. After the event, we asked around about what we should do afterwards and nearly everyone seemed to point us toward sexual activites or generally lewd environments. Apparently this is what white men like to do in Bangkok... So we had to be very explicit in that we just wanted to go have a beer or something, lol. So, we were in Bangkok a very short time and spent most of that time in meetings or rushing around between meetings with local startups. Again, we learned a lot and met a lot of awesome people... including the Bhatia brothers, who were these insane + hilarious Indian dudes that showed us a super fun night out after a long day of meetings. Binny Bhatia was also surprisingly a rapper. We spent our last day hanging with PanJ, the CTO of a local personal tour guide startup company. He and his photographer friend took us to the floating markets, on a boat ride (where Harper accidentally kicked PanJ's iPhone into the river), to a neat little art park, and to some malls so we could buy PanJ a new phone, get ourselves some terrible clothes and eat some Thai style hot pot. It was a hilarious day. Oh! And we also got Thai massages, which is a dry massage where you like, wear PJs from the 50s and a therapist pushes, pulls, and bends your body in ways you didn't know it could. It was amazing and I want to do it again immediately. This was originally just supposed to be a layover for the flight home, but Harper and I decided to extend that a bit for a couple more meetings, more good food, and having some fun. 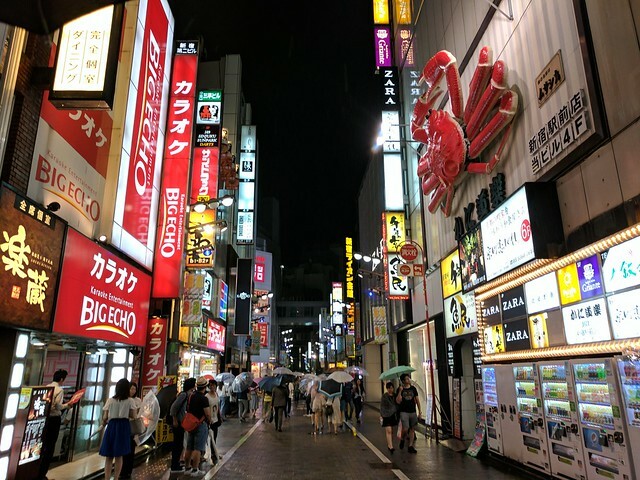 So, we got in Saturday evening, ate a super tasty meal at a soba restaurant, walked around the rainy streets and hung out at a metal bar called Godz. The next day we had a lunch date where we were in this small room with a Michelin starred sushi chef. There was no ordering, he just spent a couple hours making us ridiculously good sushi. I don't even know everything I ate, but it was without a doubt the best sushi I've ever had. After that, Harper showed me around the city, we met and ate with more rad folks and later wound up at a fun party and then the tiniest bar in the universe. Our last day there we spent hanging with friends (more on that later), exploring more of the city, and then getting a super awesome dinner at this restaurant with the tiniest door in the universe. The whole trip tickled my brain a bit - which it needed. I went from no status on United to Silver and almost Gold status. And Harper and I went on a lot of breakfast + lunch + dinner + spa dates. I have the rest of my photos uploaded to Google and here. So I should clarify that most white guys don't spend time hanging out in the red light districts. Well at least not the ones I know. It is a unique place however (Soi Cowboy has a Wikipedia page) that many visitors want to walk through. Also while Thailand has a reputation for prostitution and ladyboys, the truth is the former is rampant throughout Asia. I have been propositioned at the Hilton I was staying at in both Tokyo and Shanghai.. not to mention walking the streets of poorer countries like Vietnam and Laos. Thailand is somewhere in between these countries in maturity but approach it differently. They attempt to confine it to certain areas and although most traditional Thai stick their head in the sand and pretend it doesn't exist or wish the districts were shut down... I think this unofficial approach is a better solution. So to clarify, the reputation is unfair considering their neighbors. I'm disappointed in myself for contributing to that view. Now the ladyboy thing.. I haven't seen that anywhere else in the world. Although this is a very conservative country, they are generally known to avoid confrontation at all costs, so I attribute the ladyboy phenomenon to sort of a passive tolerance that has existed longer than the liberal acceptance of LGQBT out West. Also your perspective on the absurd nationalism is interesting. I attribute most of it to the fact that they were the only SE Asia country that was never colonized by the West. That said, their reverence for their late King is a deeply personal thing for most Thais. I think he was the 30th richest man in the world but instead of sitting in his throne and letting the rotating governments run things, his monarchy was extremely active in shaping the country. He would personally join the Army engineers in remote villages and review their blueprints of his dream to bring concrete roads to the town's people. He was a true leader and hero and his death last October was emotionally devastating. So these signs and temples you saw were mostly all personal and the type of propaganda as a Westerner may expect. The national anthem and the economic protectionism is as disturbing to me as it is you. Anyway, enjoyed reading your blog and hope to see you traveling in the future!